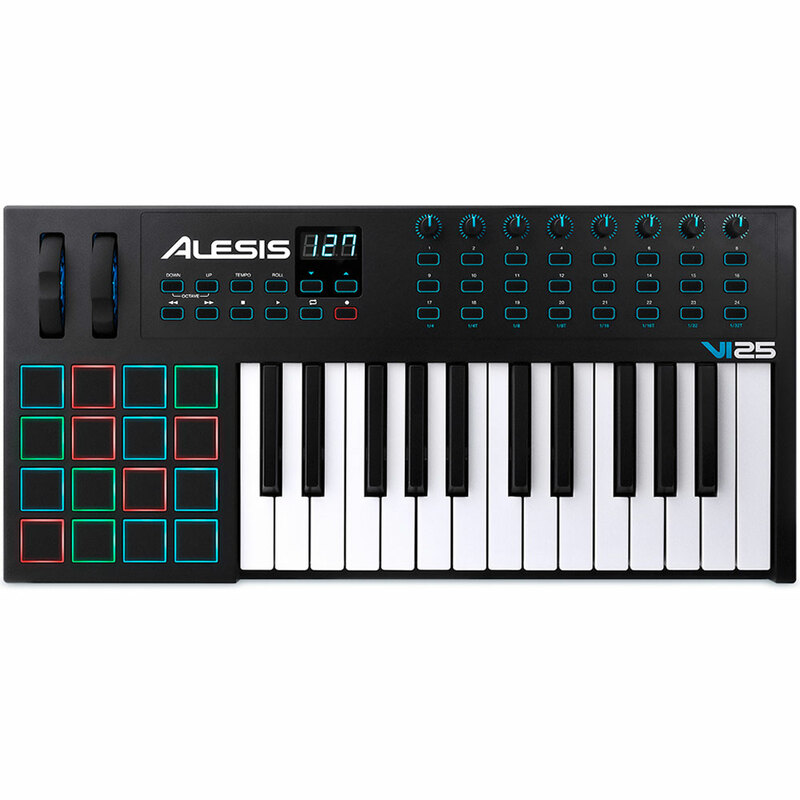 The new VI range of USB MIDI keyboards from Alesis put an array of performance orientated controls at your fingertips. 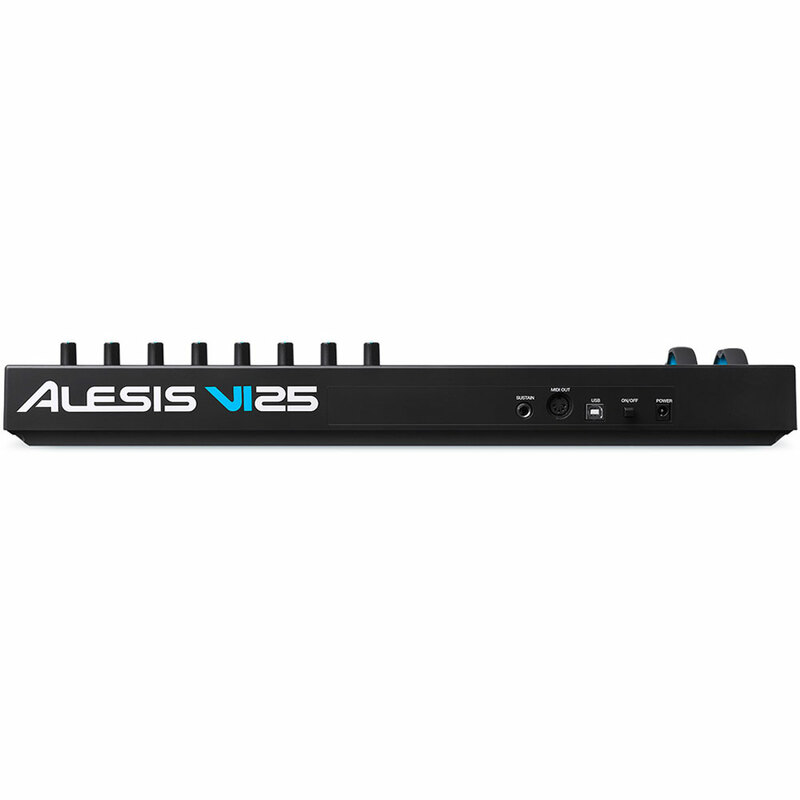 As well as 25 full size velocity sensitive keys with aftertouch , the VI25 features 8 knobs and 24 buttons which can all be assigned to control functions in your software. 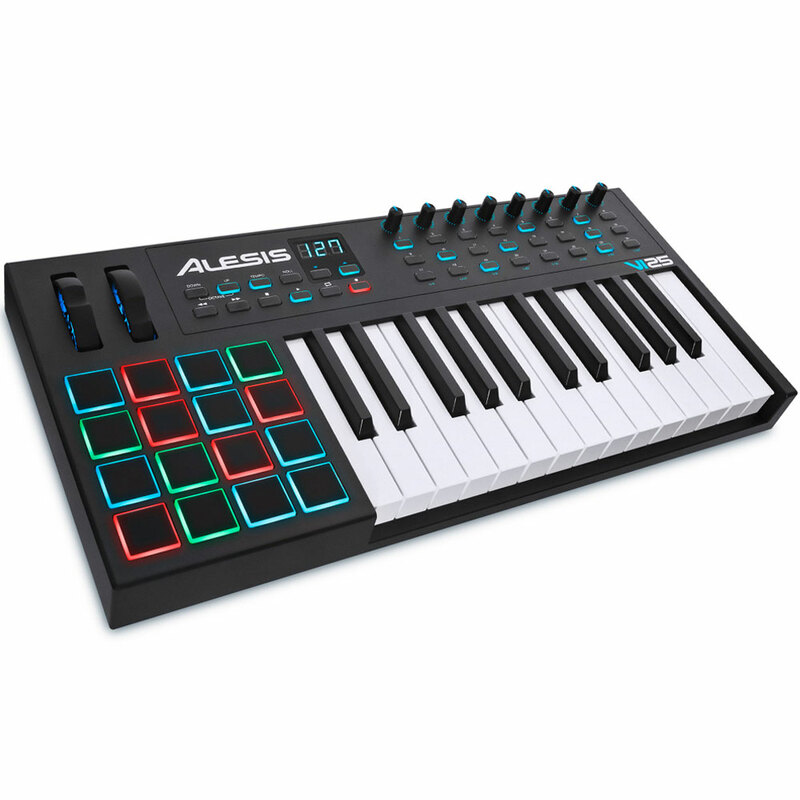 As well as this the VI25 has 16 velocity sensitive pads which can be used to trigger percussion or launch clips in Ableton Live, the RGB backlighting offers useful visual feedback. 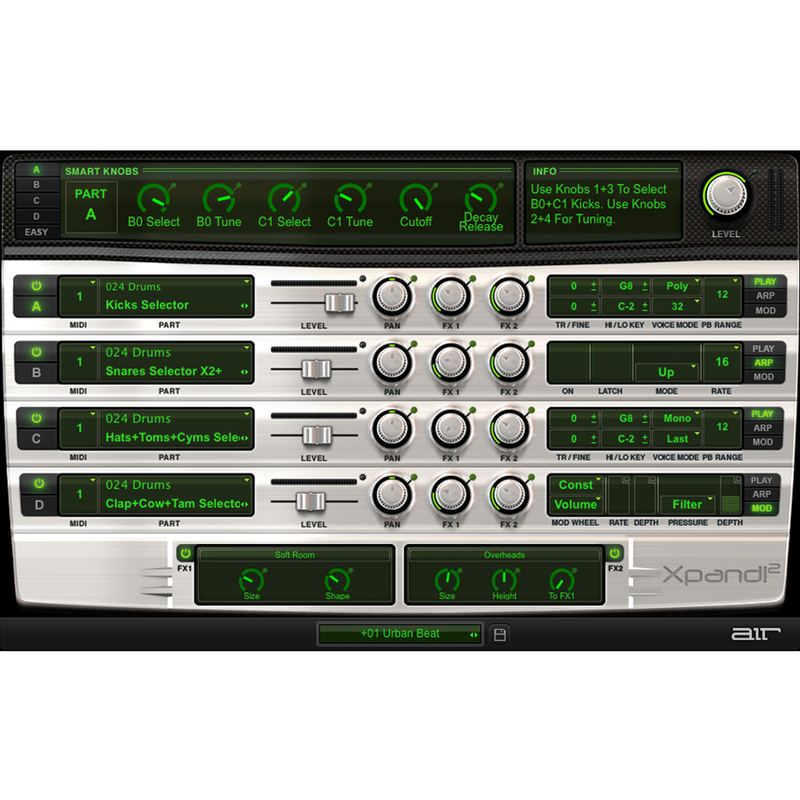 The VI25 will integrate seamlessly with your music software, it is bus powered so only requires a single USB connection to your computer. 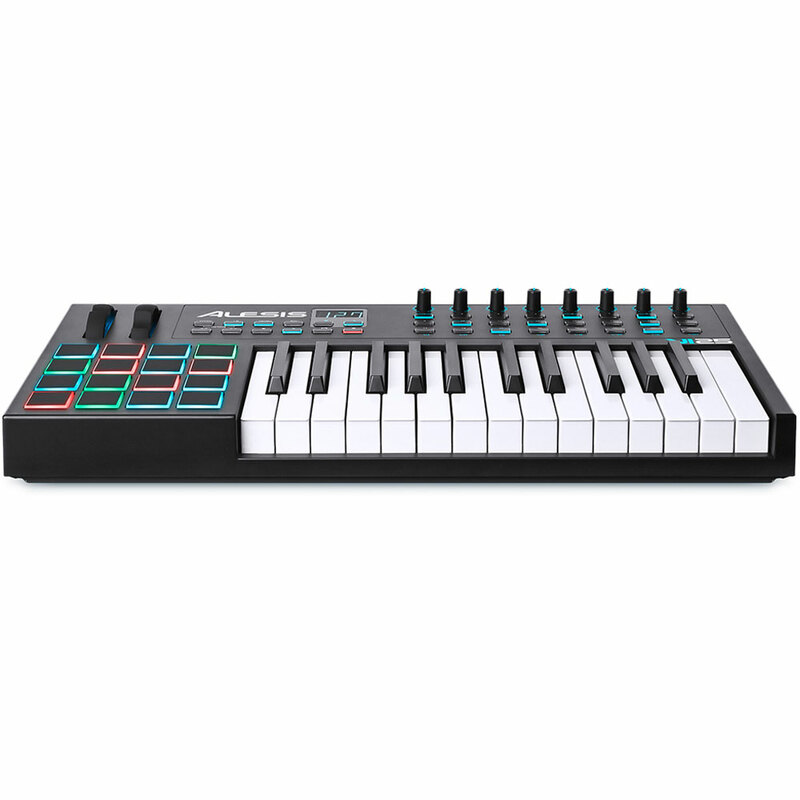 Theres is also a 5 pin MIDI out so you can use your VI keyboard to control external MIDI devices. All the knobs, buttons and pads are backlit, offering instant visual feedback of the parameters you are adjusting. 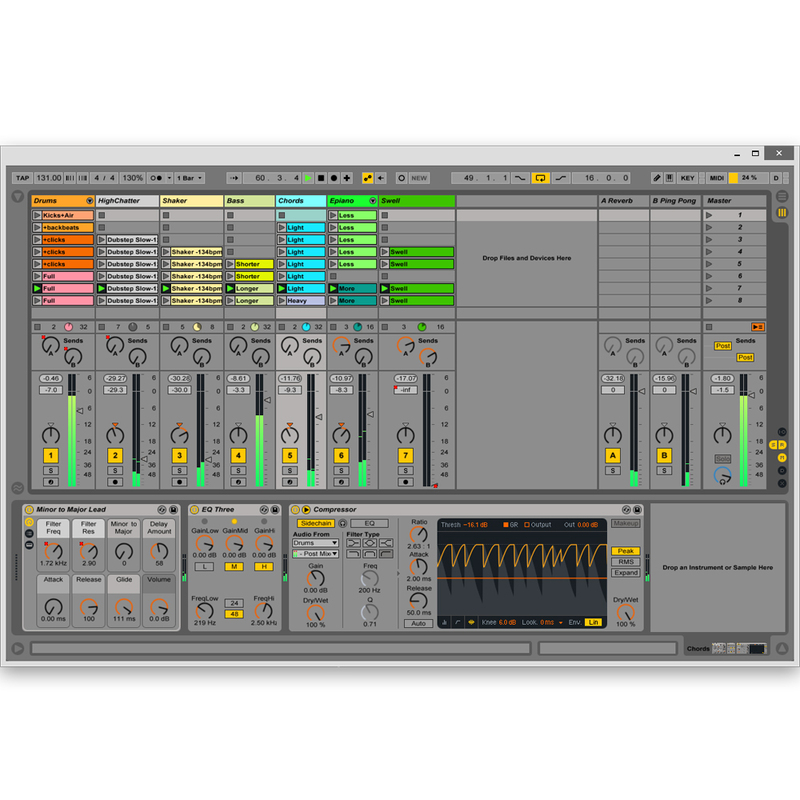 The VI25 comes bundled with Ableton Live Lite 9 sequencing software, and Xpand2 by AIR, an advanced virtual instrument including a collection of high quality sounds. Everything you need to begin making music straight away.